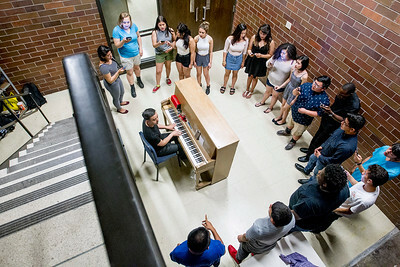 Sarah Nader - snader@shawmedia.com Music teacher Michael Gibson leads Curie High School’s vocal ensemble Musicality during practice in Chicago Wednesday, June 22, 2016. Gibson, a McHenry East High School graduate, is competing on NBC's "America's Got Talent" with his group Musicality. 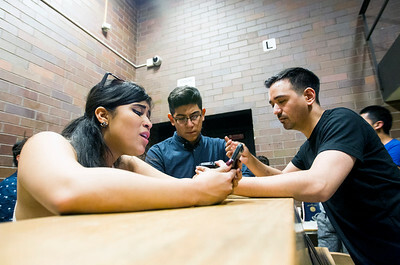 Sarah Nader - snader@shawmedia.com Zindy Macias (left) , 18, and Ulises Rincon, 17, take a moment with music teacher Michael Gibson during practice for Curie High School’s vocal ensemble Musicality in Chicago Wednesday, June 22, 2016. 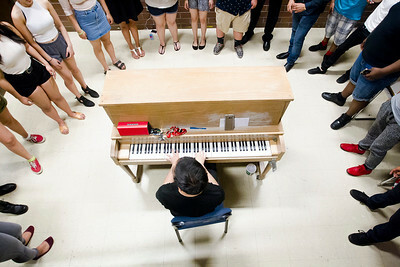 Gibson, a McHenry East High School graduate, is competing on NBC's "America's Got Talent" with his group Musicality. 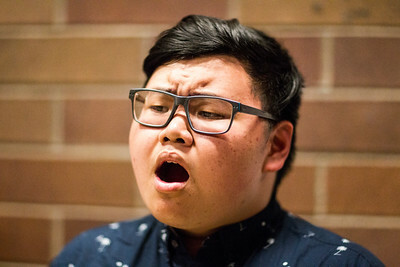 Sarah Nader - snader@shawmedia.com Philip Xu, 16, of Chicago during practice for Curie High School’s vocal ensemble Musicality in Chicago Wednesday, June 22, 2016. 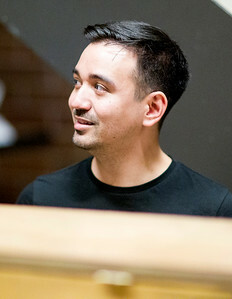 A McHenry East High School graduate is the director of the group. 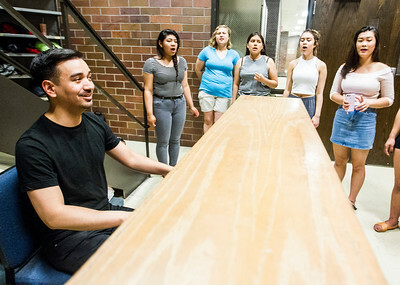 Music teacher Michael Gibson leads Curie High School’s vocal ensemble Musicality during practice in Chicago Wednesday, June 22, 2016. 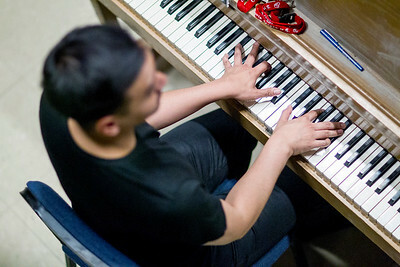 Gibson, a McHenry East High School graduate, is competing on NBC's "America's Got Talent" with his group Musicality.